Art at Waldorf schools is not just a subject, it forms part of the entire educational ethos. Founder Rudolph Steiner believed that we as humans have three aspects – intellectual, manual and artistic/creative, and that all three parts have to be advanced equally. While most schools place an emphasis on reading, writing and maths, we take the view that it’s equally important for every child to paint, sculpt, draw, sing, knit, and dance. Waldorf schools believe the ability to create something beautiful is not limited to a few “artistic” children but is something that everyone is capable of. Placing the “artist” on a pedestal beyond the reach of “average” students only serves to discourage all but the most talented children from tapping into their artistic sides. So many of today’s environmental and social problems require innovative and creative solutions, and what better way to produce creative and independent thinkers than by encouraging them to express themselves artistically in their own individual way? 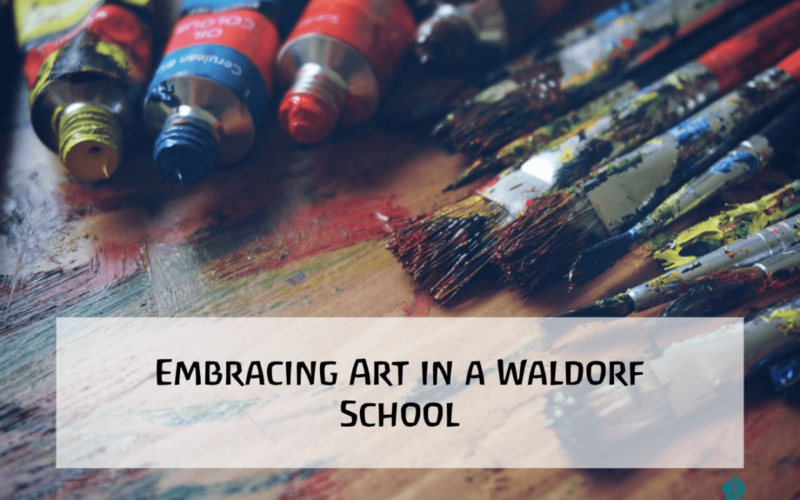 While the Waldorf Way encourages children to develop a keen sense of the aesthetic, it also ensures they understand that you shouldn’t separate art from life and that every child’s inherent artistic ability can permeate every subject taught. When children recite a poem, for example, they don’t only learn to appreciate the beauty of language, they also, almost by default, learn to strengthen their memory. The delight experienced by a first grader when drawing straight lines that then turn into curves helps with their later understanding of embryonic metamorphosis. And the manual dexterity developed by learning crossstitch, or how to knit using three needles, may encourage more analytical and agile thinking when it comes to making sense of calculus. It’s a proven fact that art engages many areas of the brain and can have far-reaching effects on children’s developing minds. The Burton Study looked at over 2 000 children and concluded that those who were engaged in their school’s arts curriculum were far superior in creative thinking, problem solving, risk taking, self-expression, self-concept and cooperation than those who weren’t. Art is a vitally important part of children’s holistic development, which is why it’s such an important part of the curriculum at Waldorf schools. Our aim is to thoroughly engage the developing child as their capacity for thinking, creating and feeling unfolds. If there’s anything more you’d like to know about the role of art in a Waldorf School, please get in touch. We’d love to chat. Angelique is a copywriter with a keen interest in the human condition. She loves to unpack behaviours and ideas and discover unique talents and inspirations. Read more of her work here.